Available in Sand or black color. Integrated tactical railed hand guard. Compatible with standard Marui M4 magazines. 360 round hi-cap mag included. High Torque motor and M100 spring installed. Large hand guard battery space holds up to a 10.8V 1600. 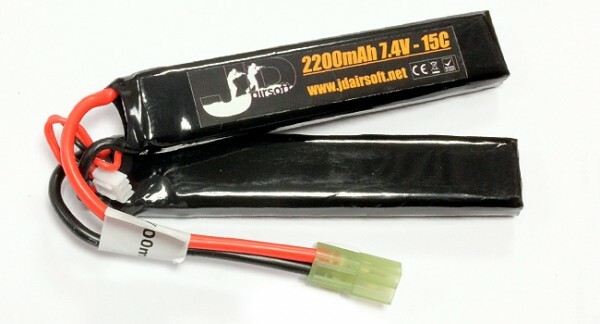 9.6V small type battery recommended. Low resistance wiring switch assembly with mini fuse.